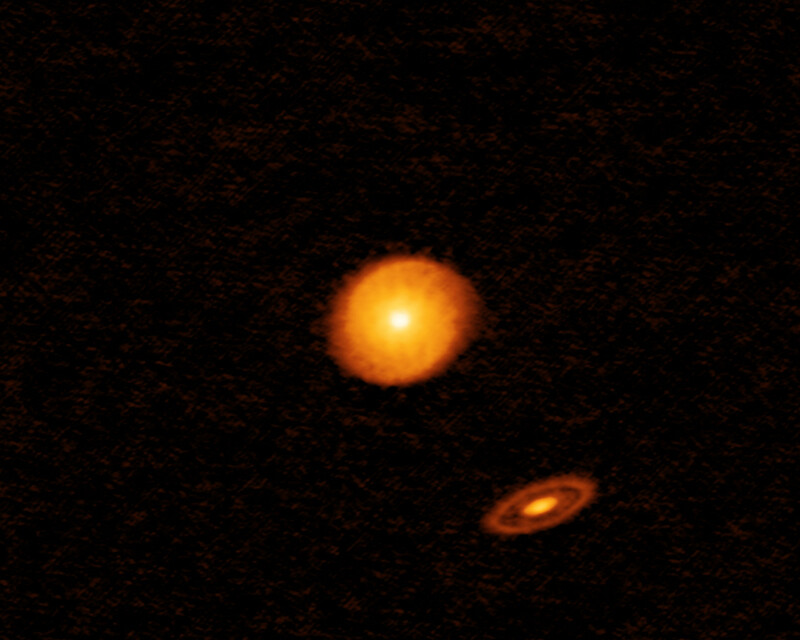 This week’s Picture of the Week highlights another of the 20 images to come out of ALMA’s first Large Program, the Disk Substructures at High Angular Resolution Project (DSHARP). DSHARP explored a number of nearby protoplanetary discs to learn more about the earliest stages of planet formation, and a staggering quantity of data from the project has just been released. 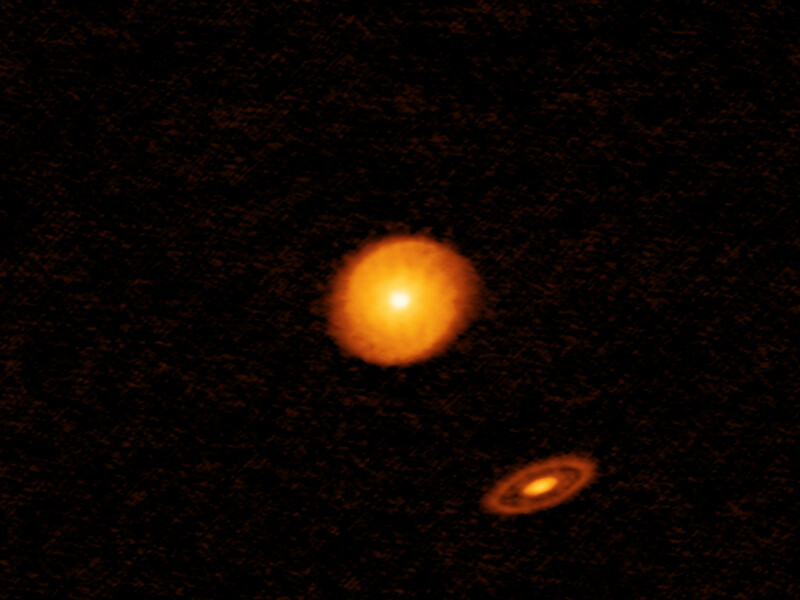 This object, called AS 205, is notable for being a multiple star system, one of two such systems imaged by DSHARP (the other being HT Lup). While two discs are discernible here, the lower right disc is in fact shared by two stars in a binary system, so we are actually looking at a system of three fledgling stars. Although most high-resolution studies have so far focused on single stars, multiple systems are far from uncommon in the Universe. It is thought that over half of all stars may exist in multiple systems, an estimate that may be even higher for young stars. The presence of companion stars is likely to have complex implications for a disc and its substructures. This is due to as the gravitational influence of a stellar neighbour, which may distort and redistribute the material within the disc. Data from AS 205 and HT Lup indicate that stars and their neighbouring discs interact strongly. Despite their unsettled birth environments, planets have been detected in multiple stellar systems — some orbiting just one of the stars, others orbiting the entire system. The latter are more likely to have stable orbits than the former, which get caught up in volatile interstellar dynamics.